While we are big food as medicine advocates, sadly, our food today is not the same quality as the food our grandmothers and great-grandmothers grew up on. Between soil depletion leading to low mineral content in foods and new varieties of crops that are designed to grow faster and be more pest resistant, there is a decline in nutrients within our foods. Nutrient content can vary within each food and be dependent on the location where it is grown, but declines are mostly seen in calcium, iron, vitamin C, zinc, vitamin B-6, vitamin E, and magnesium. Did you know that we would have to eat three apples today to get the equal nutritional content to one apple that our grandparents would have eaten? Due to multiple different factors, the use of nutritional supplements is now considered a staple in supporting a healthy mind and body. Supplements help bridge the gap so that nutritional deficiencies and subsequent ailments do not occur as a result of stress, digestive issues, environmental factors, reduced quality of crops or the consumption of processed foods and GMO’s. This is a billion dollar industry as more than half of all Americans take more than one dietary supplement. Supplements are classified as foods by the FDA, and therefore have limited regulation, meaning the way they are manufactured, processed, or sourced does not matter. The FDA does not require supplement companies or manufacturers to show or prove that their products are safe or even effective. And third-party testing has shown that some supplements have less than 5% of the ingredient which they say they contain on the label! We must, must, must be our own watchdogs. It is for this reason that I have done meticulous research on supplements since 2005, when I started my private practice. As a clinician, we are only as good as the quality of the formulas we work with because they are a large part of the positive change we see in our clients’ health. Please Note: At the time of filming, New Chapter was using food-based B vitamins which is why we displayed their multivitamin. They have recently changed their formula to use synthetic B vitamins, so we can no longer recommend their multi and recommend MegaFood's Multi For Women and Multi For Men instead. Whole food supplements provide nutrients which are as close as possible to how they would be found if picked fresh from the soil. They are often created through fermentation, and the manufacturing of the supplements does not destroy or denature the valuable nutrients. Often, whole-foods based supplements include highly-concentrated, dehydrated sources of fruits and vegetables. Most sources are organic and are prepared through drying, fermenting, chopping or juicing. Because of this, they can be absorbed and utilized by the body in a better way. Synthetic supplements are vitamin and mineral supplements that are manufactured synthetically with chemicals and are designed to mimic the way natural vitamins act in our body. Synthetic supplements lack necessary cofactors, which are substances essential to activate the digestion and absorption of nutrients. This is likened to the way our body reacts to junk food, or our car reacts if we use the wrong oil. Again, it is not what we eat, rather it is what we absorb that moves the needle with regard to our health. Where were they grown, was the soil re-mineralized? How do they encapsulate or make it into a supplement form? Are there synthetic binders or fillers? Do they use magnesium stearate and if so, are they mindful of how high they heat it since when it’s heated too high it can cause gut issues. Are there added food dyes? Look out for Yellow Dye 5 & 6 (derived from coal tar, which is a human carcinogen), Blue Dye No. 1 & 2 and FD&C Red No. 40 & No. 3. Added food colorings usually have heavy metals and aluminum substrate, which are the same things we try to remove in our heavy metal protocol! Whole-food-based supplements will use fruit and vegetable juice as a natural dye, such as beet juice or the spice saffron. Double check for no added sugars or sweeteners. This includes high fructose corn syrup, glucose, dextrose, maltodextrin and other artificial sweeteners. Are the ingredients in synthetic or pure form? The “dl” form of any vitamin is synthetic. For example dl-alpha tocopherol, dl-alpha tocopheryl acetate. Pure forms have only a “d” in the prefix, which you’ll see on the label of our favorite vitamin E supplement. What oils are they using in fat-soluble vitamin formulations? Fat-soluble vitamins such as vitamin E, A and D often will have a carrier oil. Steer clear of canola and soybean oil. It is important that they use olive oil or sunflower seed oil as their carrier oil, as in this vitamin D.
When taking supplements, it is always important to work with your doctor or a practitioner who knows you and your body and how best to support your health needs. For example, as a nutritionist, I typically recommend all five of these supplements to my clients but with fat-soluble vitamins (A, D, E, and K) I always ask if they are already taking any, as we do not want to overload the body with fat-soluble vitamins. 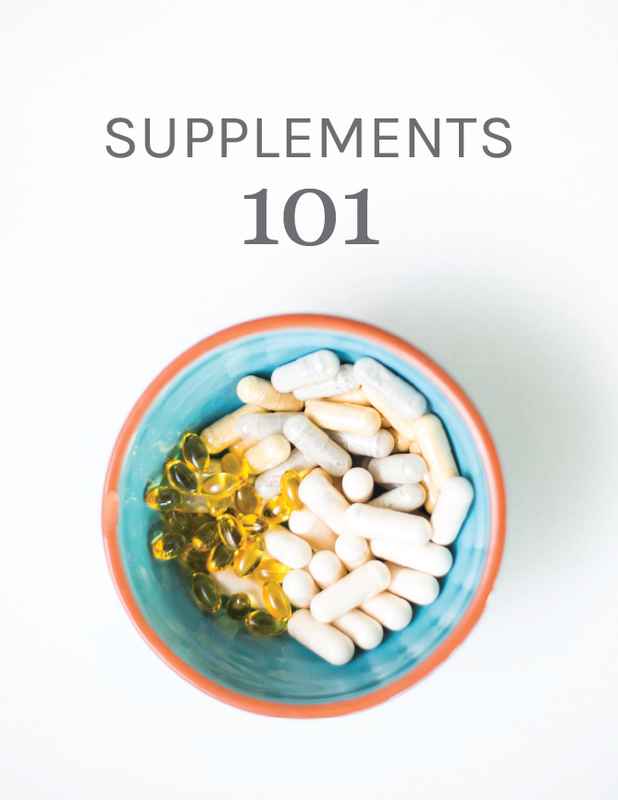 Read more about general daily supplements in our “Nutritional & Herbal Supplements 101” blog or read about specific targeted digestive health supplements in our “Digestive and Immune Supplements 101” blog. Now we want to hear from you. What supplements do you take and love on a daily basis, and why? Leave a comment and let us know. Designs for Health use Magnesium stereate as a filler. Pure encapsulations and Garden of Life were purchased by Nestle. They cannot be trusted any longer. Purica is a very clean and effective brand. Thank you for that Christa. Very informative. I am looking for a mineral (just minerals) supplement. Any ideas? BTW you look great! I’m surprised you didn’t mention fish oil! I’m a big fan of Rosita cod liver oil. Hi Elizabeth, We love fish oil too! Quality and sourcing are very important in fish oil, glad you found a good one! Great video!! I am currently taking all 5 of these, but I would love to know what time of day you recommend taking them?? Really informational segment! Any brands you would recommend for kiddos? Hi Minna, We like Mega Foods Kids as well as SmartyPants. I enjoy many products from Thorne but I also use Jigsaw Health for magnesium, Have you heard of them? I also use Blue Biotics for my pre/pro biotics. They have 61 billion CFU’s and 11 strains, are you familiar with them also? Thank you for your great information! Hi Agustine, Thanks for watching the episode, we are so glad that you found it informative. We are not familiar with JigSaw, but if they include the forms of magnesium Christa recommended, then it should be a good pick! In regards to the probiotics, it sounds like a good formula, you may find switching it up to a soil-based probiotic a few times a year is a good way for your microbiome to be full of healthy and diverse bacteria. Interesting that your information on supplements come so soon after an article on plastics. Why is it that a product with an expiry date needs to be packaged in forever plastic?! I would be very impressed with a company that changed the packaging of supplements to be more environmentally friendly. I am taking an amazing vitamin (it’s a daily vitamin in 3 tablets) with phyto-nutrients. I feel more energized and better than I have on any other vitamin regimine. (It’s made by NutriLite.) What are your thoughts on the phyto-nutrient component? As a holistic nutritionist, I use pure encapsulations for many supplements. Christa, I totally agree with doing your own research as many companies like pure encapsulations have been bought out 🙁 Thank You so much for sharing your knowledge with us! Thanks so much for watching, Cherylann, we appreciate your support. We really must do our own homework when it comes to purchasing and recommending supplements! and couldn’t heal from rT3, adrenal fatigue, and high estrogen despite clean eating, etc. I feel so much better after not taking this vitamin but haven’t got tested for the health issues yet to see if this was the problem. Are there people who don’t do well on the methylated vitamins? What about Dr. Mercola’s multivitamins? What postnatal supplements do you recommend for breast feeding mamas? I have been a Whole Journey follower for a long time now. When I first started following Christa, she was a high proponent of Ortho Molecular Products. I see that she has switched over to other brands and was wondering if she switched over because of cost or quality of product. I would like to know because if I am putting something in my body she wouldn’t recommend, I need to stop. Hi Amy! Christa and the team are huge fans of Ortho Molecular Products, and we still use in our programs. They can be difficult for consumers to purchase online as they are only available through practitioners -so we included some alternatives in this post 🙂 Thanks for watching! I get my vitamins and supplements from my functional medicine practitioner. However, I am trying a D3/B12/DHA/EPA combo right now called Complement from Alpine Organics. It was recommended by Ocean Robbins. It’s kind of pricey though. Thank you for all the information you provided in this article and video. Hi Margaret, Thank you for your support! 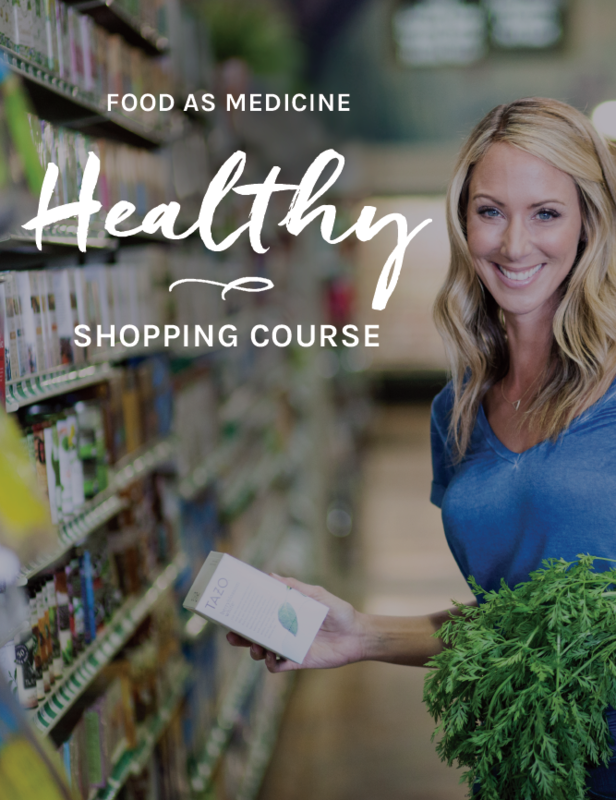 Purchasing from a FM practitioner is a great way to get high-quality products! Our older kids take the whole food kids multivitamin from Megafood & our two younger kids who can’t swallow pills yet take a chewable kids multivitamin by Garden of Life.